Copac also contains records for a number of special collections held in Cambridge colleges and departments, and Russian and East European Studies records from the Scott Polar Research Institute (SPRI). How do I find primary source material held at this institution? 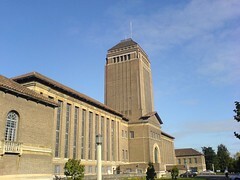 Visit the University of Cambridge's contributor page at the Archives Hub for information. The Thames uncas'd: or, The watermans song upon the thaw : To the tune of Hey boys up go we.